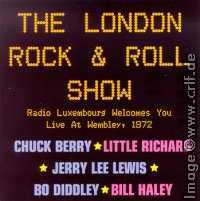 On August, 5th 1972 Chuck performed at the Wembley Stadium, London, UK. 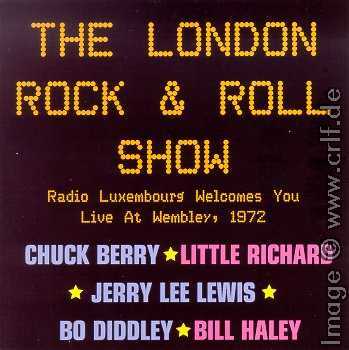 Parts of this show were filmed by Peter Clifton and published as The London Rock And Roll Show. The film includes additional performances by The Houseshakers, Heinz, Screaming Lord Sutch, Bo Diddley, Jerry Lee Lewis, Bill Haley, and Little Richard. Chuck's segment includes the songs School Days, Memphis, Tennessee, Sweet Little Sixteen, Mean Ole Frisco, Beer Drinking Woman, Wee Wee Hours, Let It Rock, Carol, Little Queenie, and Reelin' and Rockin'. The film was re-released on video tape in 1992 by Magnum Music. In 2001 Magnum finally released Chuck's performance along with those by Bo Diddley, Jerry Lee Lewis, Bill Haley, and Little Richard on a soundtrack CD (Magnum Music CDMF 105).